Hi! 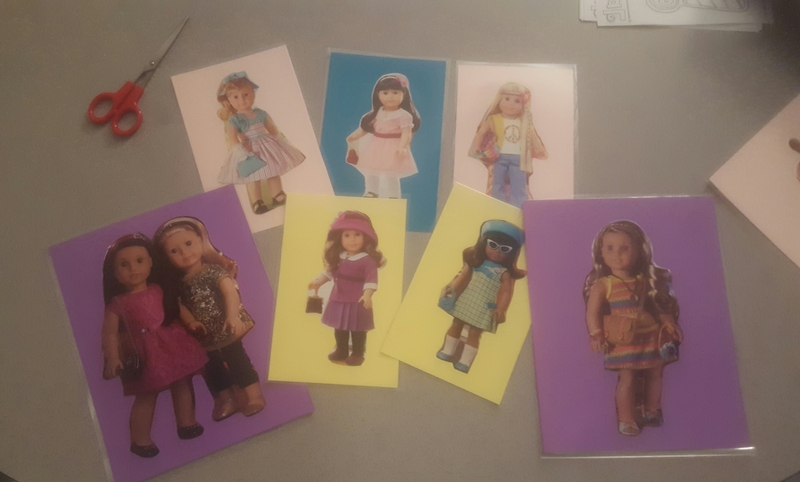 My daughter still gets the American Girl Doll catalogs in the mail (even though she is 15) and I was going to cancel it when I had a great idea!! The pictures are so perfect for therapy! You can target vocabulary, antonyms, similarities and differences, qualitative and quantitative concepts. Already when I laminated them here at school, every girl in the hallway was excited, “OOO! She has American Girl Dolls! !” Can’t wait to try it out today. It also made me think of other ways to use toy catalogs for similar ideas. I thought that they could make a wish list, cut out the pictures with prices then compare and contrast using more/less/least/most, etc!! This got me thinking about something similar that I have used during the holiday season. I bought this on TPT several years ago and it does not disappoint! On a side note, there are also several things on the American Girl website. One spot that I found particularly interesting is this page, which tackles some different social skills topics. There is also a page filled with games that may be useful as reinforcers. If you have time and want to explore the website for any additional content that would be useful, share what you find in the comments!! Have you used catalogs as therapy materials? Please share any additional ideas in the comments! I love this idea! Especially using the Christmas toy catalogs. I’m going to try that this week. I’m sure the students will enjoy it. Thanks for sharing!